Get the most from your time at Rollins. RCC students collaborate with Associate Professor of Art History Kim Dennis and CFAM's Curator to curate an exhibition of the internationally-renowned artist’s work. We encourage students, especially those considering graduate school and careers in the arts, to complete an Honors project in their major. 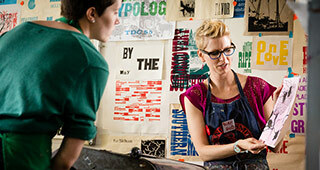 Enrollment in the capstone courses for the Studio Art Major - ART440 Senior Studio and ART 450 Senior Seminar - is contingent upon successful completion of the Junior Portfolio Review. This Junior Portfolio Review and the accompanying Senior Exhibition Proposal is mandatory for all juniors and transfer students entering their junior year and will be held annually during the spring semester of a student’s junior year. 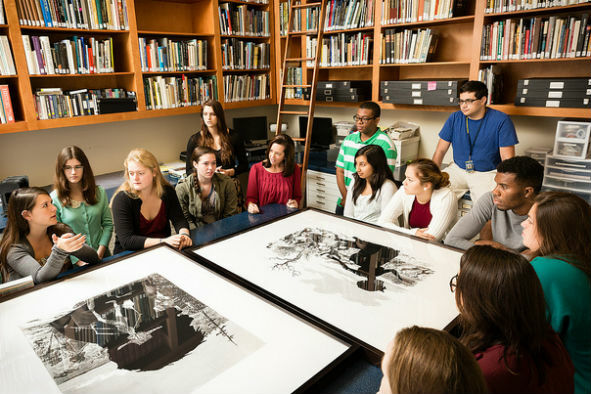 Art History and Studio Art majors can choose from many exciting co-curricular opportunities such as internships, collaborative student-faculty research, scholarship support for independent research, travel, study abroad, field studies and professional workshops. We recommend that students meet with a faculty member early in the academic planning process to discuss which opportunities will work best for them. Check out this blog to see what our students have been doing with their travel and research opportunities!